Showing Products 1 to 9 of 9 Products. Takes the reader through some of the most dramatic special forces operations in US history, from sniping British commanders during the Revolutionary War to Riverine incursions in the Mekong Delta in Vietnam, and from demolition missions on D-Day to the SEAL assault on Osama bin Laden's compound in 2011. 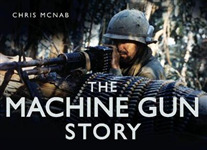 A fully illustrated account that explores the origins, development, and combat record of the FN Minimi, the Belgian light machine gun that has been adopted by armies around the world. The Battle of Cambrai has become synonymous with one of the Allies' first large-scale use of tanks on the Western Front. 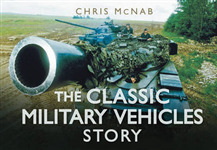 This title explores how new techniques of sound-ranging and artillery strategy played a greater part on the battlefield than the tanks which have dominated the history of the battle. With 170 outstanding colour photographs of cars, trains, ships, submarines, tanks, aircraft and even a space shuttle, Abandoned Wrecks is a brilliant pictorial work showcasing these battered time capsules and their stories of wars, natural disasters, changing fortunes, tastes and fashions. Few war films made about the 1939-45 period are complete without sight of a boxy little Kubelwagen light utility vehicle being smartly driven by a German officer. The Barrett M82 is one of the most successful sniper rifles ever manufactured. This is technical history of a rifle initially commissioned as an anti-materiel and explosive ordnance disposal tool, designed to neutralize enemy vehicles and parked aircraft, but which has since been adopted by snipers across the world. When HMS Dreadnought was commissioned into the Royal Navy in 1906 this revolutionary new class of big-gun iron-clad warship immediately changed the face of naval warfare, rendering all other battleships worldwide obsolete.